This would make a great gift someone learning how to read. Abigail found a magical bicycle in her grandparents' old house, and this bicycle takes her to the magnificent Sahara Desert. Your kids will enjoy full-color illustrations of Abigail and the desert life. 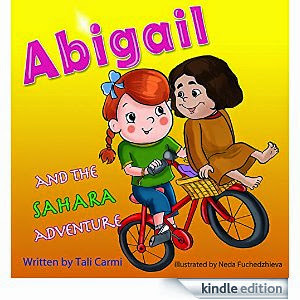 Abigail and the Sahara Adventure is a sweet children's book written especially for you and your ages 2- 8 children.